Ever contemplated the overlap of art and reality? With television shows like Law & Order: SVU tapping into national headlines as influence in its plot, paintings and drawings can also explore the people and personalities that make the news. That’s what Rudy Shepherd’s “We Are All Trayvon Martin” collection explores and it is featured at 1708 Gallery until March 25. Shepherd’s work considers the role of artists as witness to contemporary society. His paintings and drawings examine current events, pop culture icons, politicians, as well as both criminals and victims of crime. As a self-confessed news junkie, a lot of the New York City artist’s work has been inspired by the people he sees in the media. “We Are All Trayvon Martin” is the result of a decade of real world events seeping into Shepherd’s art. According to Shepherd, it was an old New York Post cover image of Ronnell Wilson that originally inspired him. Wilson had killed two police officers and even stuck his tongue out at the wife of a victim during his trial. The New York Post cover featured the headline “Fry Baby” with his image. Despite Wilson’s actions, Shepherd saw this as a form of the press vilifying someone. After deciding to paint a portrait of Wilson, Shepherd realized his growing interest in growing a collection of portraits of people; be it a criminal, victim, or celebrity; who finds themselves in the public eye. “I am interested in reexamining these stories and finding the humanity that exists in these people and representing that back to the public,” Shepherd said. 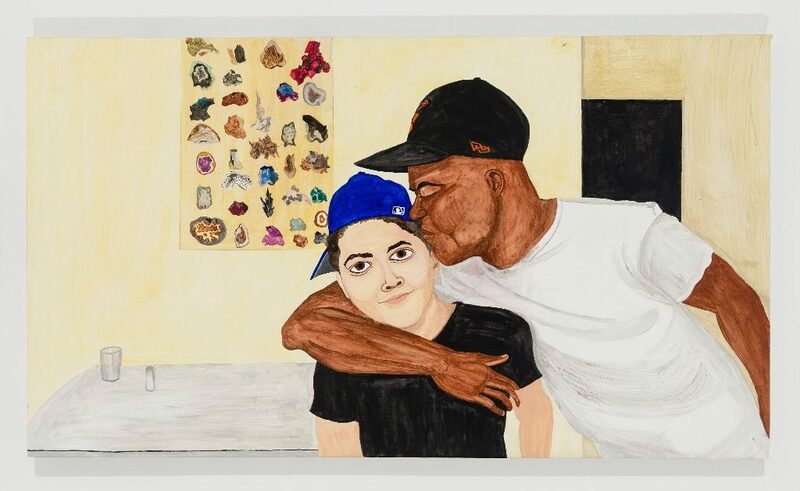 In addition to the watercolor portraits, Shepherd said he has a series of paintings, “Healers,” composed of images of people who have died and left an artistic legacy. “He’s depicted Treyvon Martin and George Zimmerman as well as the victims of the Charleston shooting and Dylan Roof,” said Emily Smith, Executive Director at 1708. Smith was familiar with Shepherd’s work, so when space opened in her gallery, she reached out to him about displaying some of his pieces at 1708. At the time, other works, such as his portraits of the victims of the Charleston shooting were on display at the Studio Museum in Harlem until March 5. Also present at the exhibition are small ceramic objects called “Healing Devices.” Their purpose, according to Shepherd, are to be a counterpoint to things that might seem like unsolvable problems in the social and political challenges in society. “They pose a solution, while at the same time questioning the viewer’s belief in the power of art, and the power of belief,” Shepherd said. 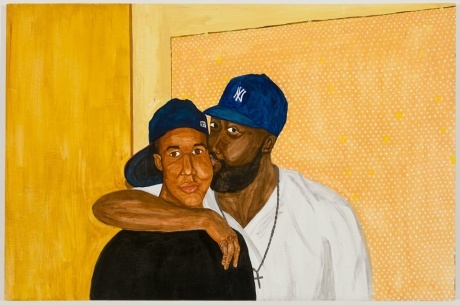 Rudy Shepherd’s “We Are All Trayvon Martin” will be on display at 1708 Gallery until March 25.